Mr Fox opened at the end of 2016 from the same owners as The Pig's Ear, Stephen McAllister and Andrea Hussey, with chef Anthony Smith. 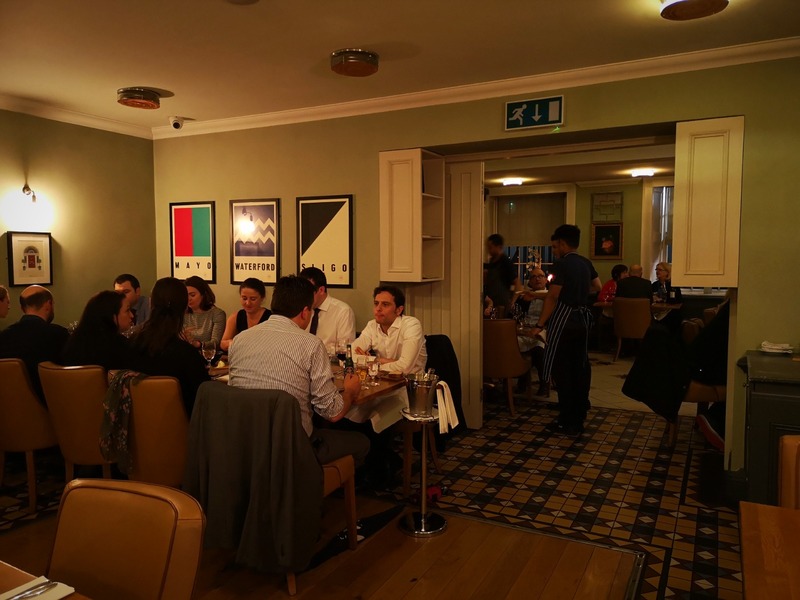 They opened to very positive reviews, but if the word on the street is anything to go by (and we'd like to think we're talking to the right people), it's just been getting better and better. After a 'memorable for all the right reasons' lunch there during the summer, we'd been meaning to go back and do a proper write up, and after three people in one week told us how much they loved it, we took it as a sign that we needed to tell the masses. Wine bars and cocktail dens are scant around here, and in all honesty there isn't a pub within a five minute walk that we could hand on heart recommend (if we're missing somewhere let us know), so we'd suggest a drink in the bar in Mr Fox, which is very comfortable and has a nice drinks list (more on that further down). There are two main rooms, one towards the front on Parnell Square, the other towards the back. We prefer the front due to its proximity to 1) the bar, 2) the windows and 3) the stove. It just feels cosier. Both times we've eaten here we left really impressed. There's so much mediocre food in the city that when you eat somewhere like this it's like a smack in the face. 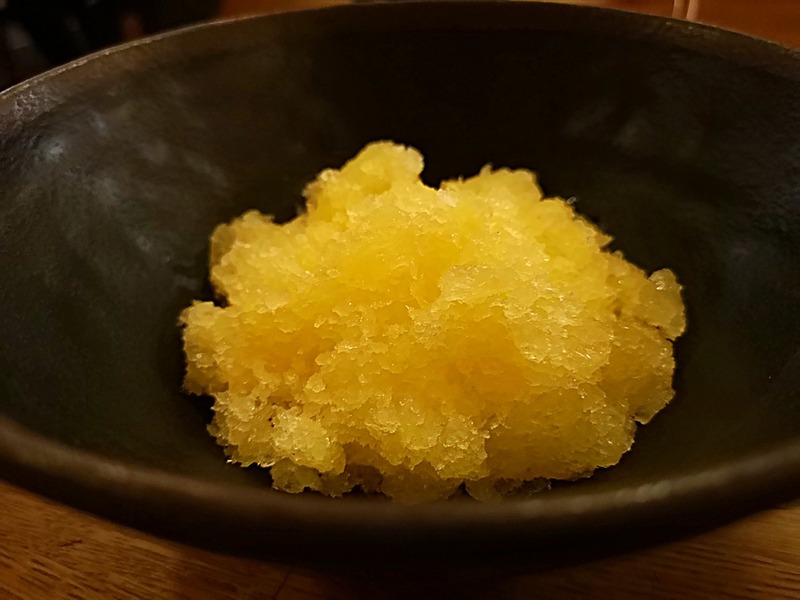 On this occasion we ate from the pre-theatre, and at three courses for €27.95, it's got to be one of the best value (for what you get) in the city. We also love that the options are all from the á la carte, so no cheaper ingredient options being made to look like better value than they are. 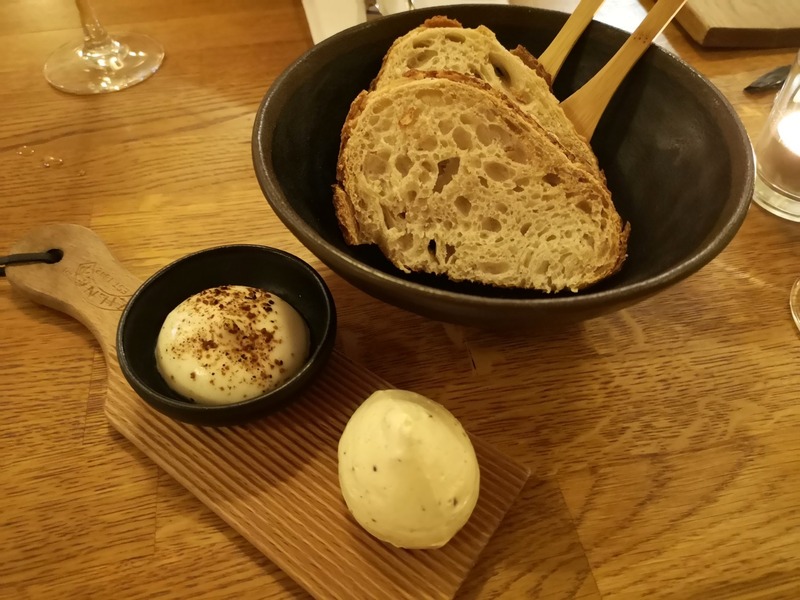 They start you off with excellent sourdough, which comes with mushroom butter and parmesan cream - both so good you're likely to put indecent amounts on the bread. We really loved both starters, which had so much going in in terms of flavour and texture. 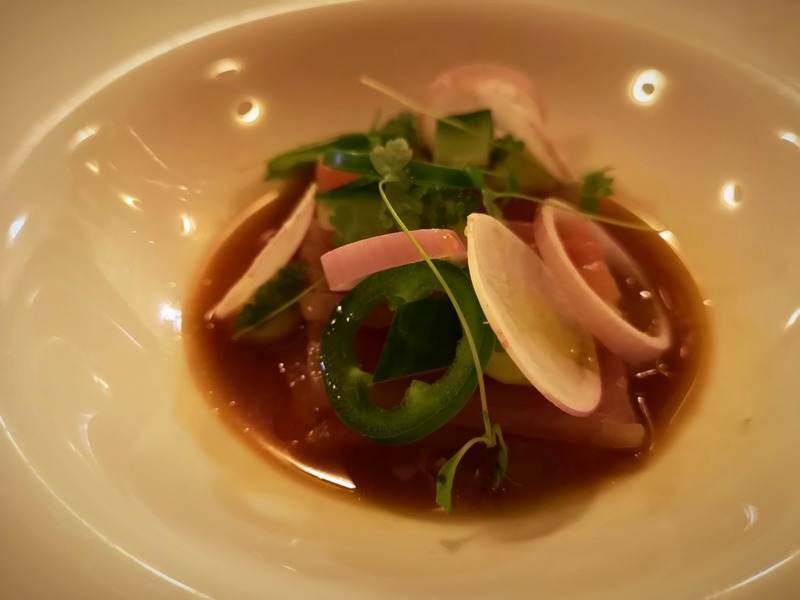 Tuna was listed on the menu as coming with ponzu (a citrus-based sauce), navet (a type of turnip), avocado, charred watermelon and tobiko (fish roe), but actually came with what we think were jalapeños, red onion and cucumber. Usually that kind of thing would drive us mad, but it was so delicious we didn't even notice until later. The other of Buffalo mozzarella, smoked beetroot, Jerusalem artichoke and hazelnut was possibly even better, and such a seasonally perfect plate of food, the crunch of the hazelnuts and artichoke providing really lovely texture contrasts with the soft cheese and beetroot. 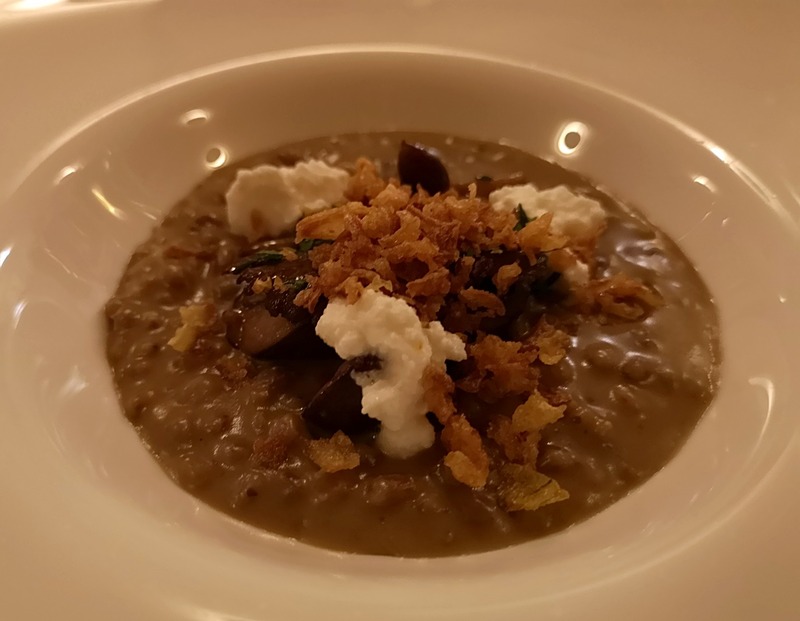 There was more pledging allegiance to the seasons with a main of roast barley risotto, pickled mushrooms and smoked ricotta, which was just about the most perfect thing to eat on a cold, wet November night in Dublin. So much depth of flavour and a lot of (attemptedly inconspicuous) scraping of the bowl took place. 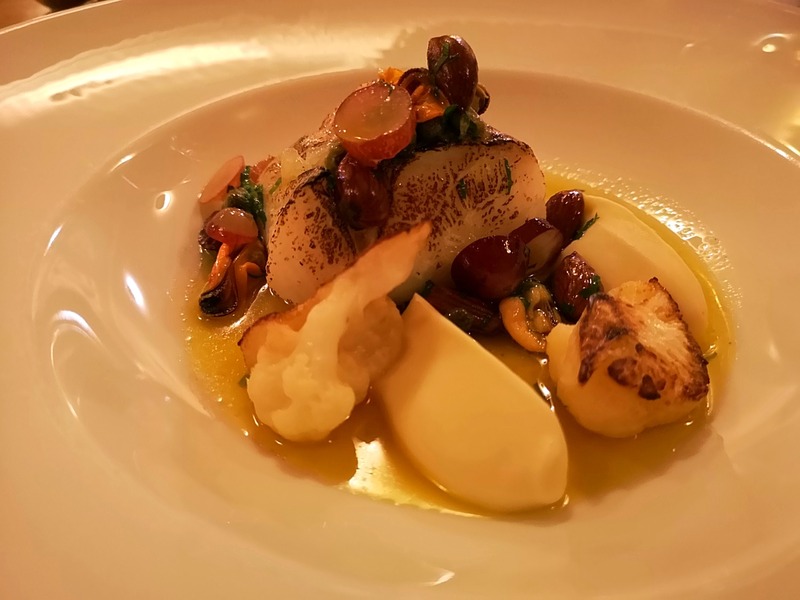 Another of cod with cauliflower, brown butter, grapes, capers, almonds and mussels initially had us a bit like "why does cod even exist", but once we gave it a chance we fell hard. Yes cod can be a bit tasteless, but brown butter should be added to every dish in every restaurant for the rest of time. No exceptions. It was a great combination of flavours that we never would have put together (grapes and mussels? ), and really worked. 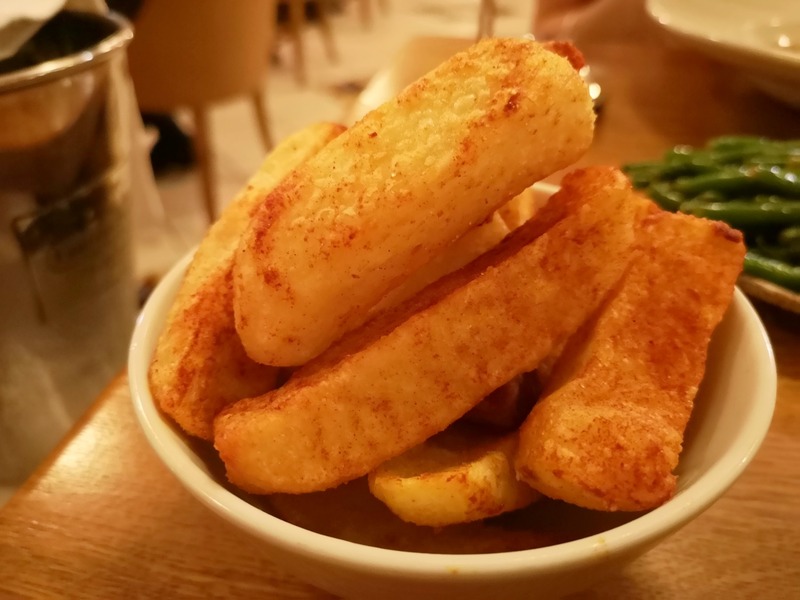 A side of thick, paprika spiked chips with garlic aioli were potato perfection, but another of nduja green beans were overcooked and needed more nduja. Do not, under any circumstances, leave here without having dessert. 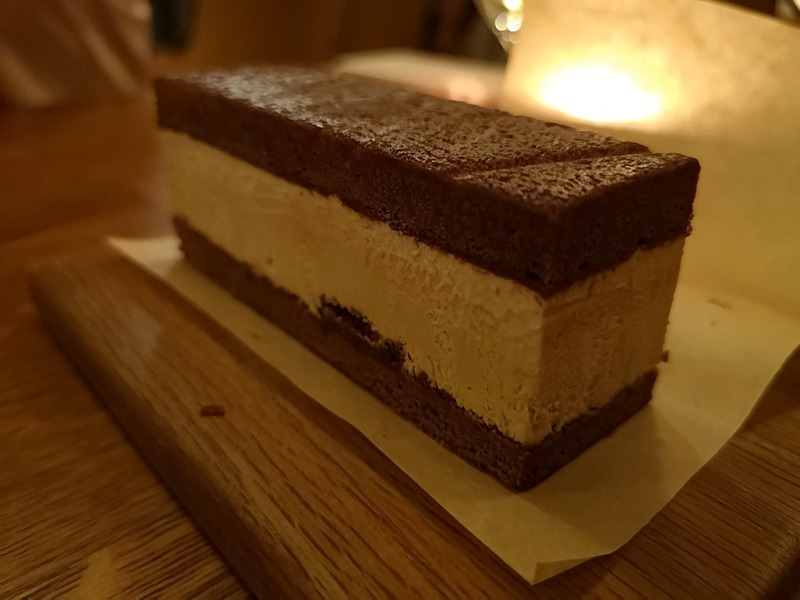 Anyone who's been to The Pig's Ear will know about the nostalgia inducing cakes and icecream, like the berry cheesecake in a sweet bag and the "walnut whip", and they've carried the same theme over to Mr. Fox. Both the clementine "super split" and the coffee "iceberger" are so perfectly reminiscent of the versions a lot of us enjoyed as children, but you get the feeling that if you tasted them side by side you'd be disgusted at your younger self for accepting such a substandard version all your life. 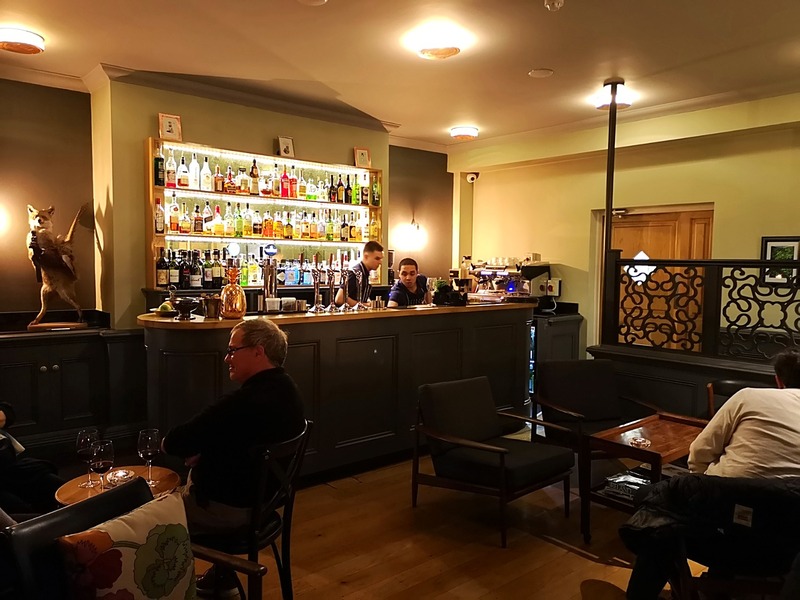 Mr. Fox has an excellent wine list, and while the mark ups are typically city centre high, there were so many bottles we wanted to drink - which is frustratingly still a rarity in Dublin. They have 14 wines by the glass, from house Godello and Nero d'Avola on tap, to Burgundy and Bordeaux, and an additional six sweet wines (try the Jurançon with the super split - swoon). 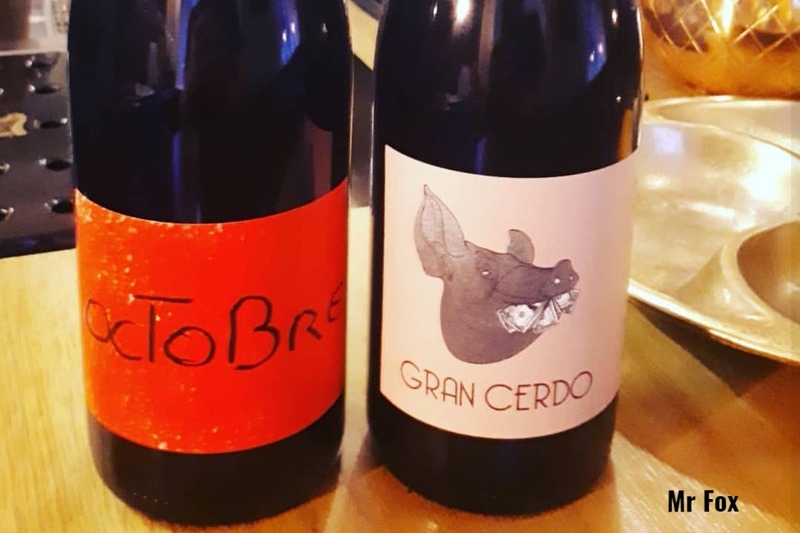 There's loads for natural wine lovers to get their teeth into, like the cloudy 'Colfondo' prosecco from Casa Belfi and the stunning Syrah based 'Octobre' from Domaine des Foulards Rouge, and they have a sommelier, so if in doubt ask for advice. They also have a few Irish craft beers and a very substantial spirits list. Very bright-eyed and smiley, if a bit eager to take our order. Perhaps they were under pressure to turn tables post pre-theatre. The food came at a nice pace and they were all very pleasant in the process. We're constantly asked by visitors (or friends of visitors) to Ireland where they should go for a proper Irish food experience. Our first response is usually "not Temple Bar! ", but beyond that, it's hard to know where to suggest that won't be a total let down on the food front. 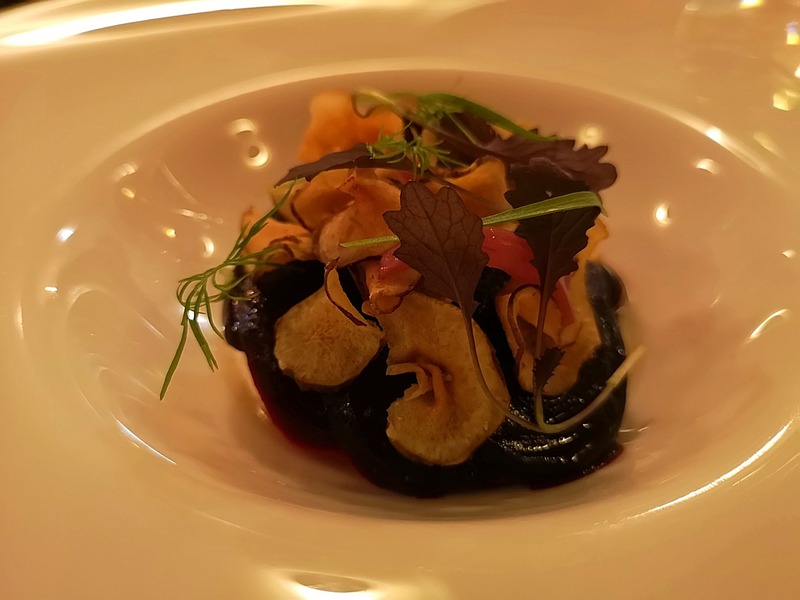 As far as we're concerned, the best Irish food experiences revolve around the best Irish produce, seasonality of ingredients and innovative ways of putting them all together. 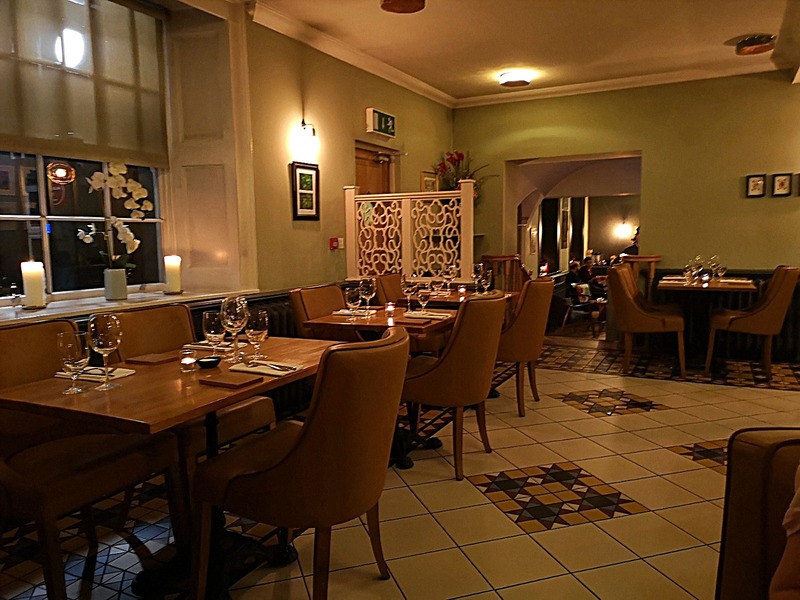 Mr Fox ticks all of the boxes, and with the excellent wines and lovely room to boot, this is our new go-to for people wanting to know what Irish food even is anyway. Open: Tues - Sat 12:00 - 14:00, 17:00 - 21:30.